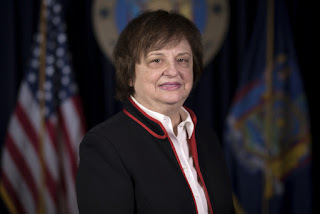 NEW YORK, N.Y. -- Attorney General Barbara D. Underwood today announced a settlement with major biopharmaceutical company, Pfizer Inc. ("Pfizer"), following an investigation into the company's business and advertising practices for its copayment coupon program. As part of the program, consumers were told that they would "pay no more than" $15 or $20, for example, for certain drugs – but ended up spending far more at the pharmacy cash register. The settlement resolves allegations that Pfizer deceptively marketed its copayment coupon program for its Estring, Quillivant XR and Quillichew ER ("Quillivant"), and Flector Patch products when it distributed these copayment coupons to consumers throughout the state without clearly and conspicuously disclosing the material terms and conditions. Pfizer's copayment coupons stated in large, clear text that eligible consumers would "PAY NO MORE THAN" certain amounts out-of-pocket. For example, large, bold print on the Estring copayment coupon said that a consumer using the copayment coupon would "PAY NO MORE THAN $15" for a prescription. In fact, consumers frequently paid significantly more than the "PAY NO MORE THAN" amount that appeared on the relevant Pfizer copayment coupons because of limits on total savings that were not prominently disclosed. "Pfizer misled customers by promising a low copay for prescription drugs – only to leave them with major bills at the cash register. Now, they must take responsibility and provide restitution to the New Yorkers they deceived," said Attorney General Underwood. "My office will continue to investigate companies that mislead and deceive New Yorkers, including and especially those seeking medical treatment." The Attorney General opened an investigation into Pfizer's marketing of its copayment coupons to New York consumers following the receipt of a complaint from a consumer who obtained a deceptive Estring copayment coupon. The coupon included the deceptive language "PAY NO MORE THAN $15." Like many other unknowing consumers, when this consumer presented the coupon at the pharmacy register, she had to pay $144.62 – far more than the promised $15. Following the Attorney General's investigation, Pfizer agreed to change the text of the Estring, Quillivant, and Flector Patch copayment coupons to explain that patients could "pay as little as" a listed amount, a process Pfizer completed as of early 2018. The Attorney General's settlement requires the company to pay $500,000 in penalties, fees, and costs to the State of New York, as well as over $200,000 in restitution to consumers. New York consumers are eligible to receive restitution under the Attorney General's settlement for the amount of their copayment that exceeded the "PAY NO MORE THAN" amount listed on the relevant Estring, Quillivant, or Flector Patch copayment coupon for the first use of the card. Consumers who want to report a deceptive advertisement of prescription drugs, including a deceptive copayment coupon, or who have any other health care related complaints, can reach the Attorney General's Health Care Bureau Helpline at 800-428-9071 or file a complaint online. This case was handled by Assistant Attorneys General Lilia Toson, Adrienne Lawston, and Dorothea Caldwell-Brown and Deputy Bureau Chief Susan J. Cameron of the Health Care Bureau, with the assistance of Health Care Bureau Helpline Advocate John Rice and OAG Deputy Director of Research and Analytics Megan Thorsfeldt, under the supervision of Bureau Chief Lisa Landau and Executive Deputy Attorney General for Social Justice Matthew Colangelo.